The Britax B-Safe Infant Car Seat is currently rated as one of the most appreciated and sought-after baby car seats on the market, and for a good reason, given the fact that this infant car seat simply redefines the way we see safety through its impressive collection of car safety features. Designed to be used by toddlers who measure up to 32 inches in height and who weigh between four and 30 pounds, the Britax B-Safe child car seat will keep your toddler in a rear-facing position and it will also offer an outstanding side impact protection, thanks to the energy absorbent foam that the seat is made of. This review will tell you more about all the features, functions and specifications of this infant car seat, as well as the advantages and downsides of this product, as presented by owners on Amazon. What Are The Most Notable Advantages Of This Infant Car Seat? The extra security features are undoubtedly the most important advantage of this infant car seat, as the product is obviously designed with the child in mind. The car seat makes no compromise in terms of security or comfort, it has been tested and re-tested by the manufacturer and the energy-absorbent foam is a great addition as well, as it will keep your toddler safe during a car accident. Moreover, the Britax B-Safe Infant Seat also rises to all the federal crash safety requirements and it can be used on airplanes as well. This child seat is suitable for children up until the age of one year, or one year and a half depending on the growth rate of each child. Another important advantage that parents have repeatedly mentioned on Amazon is the fact that the seat is somewhat compatible with strollers – it is not universally compatible, but you can always invest in a good Click and Go adapter that will make it a lot more versatile and easier to use. In addition to this, the infant car seat also comes with a comfortable carry handle that is very easy to grip and to use, and the straps are great for keeping your child in place. 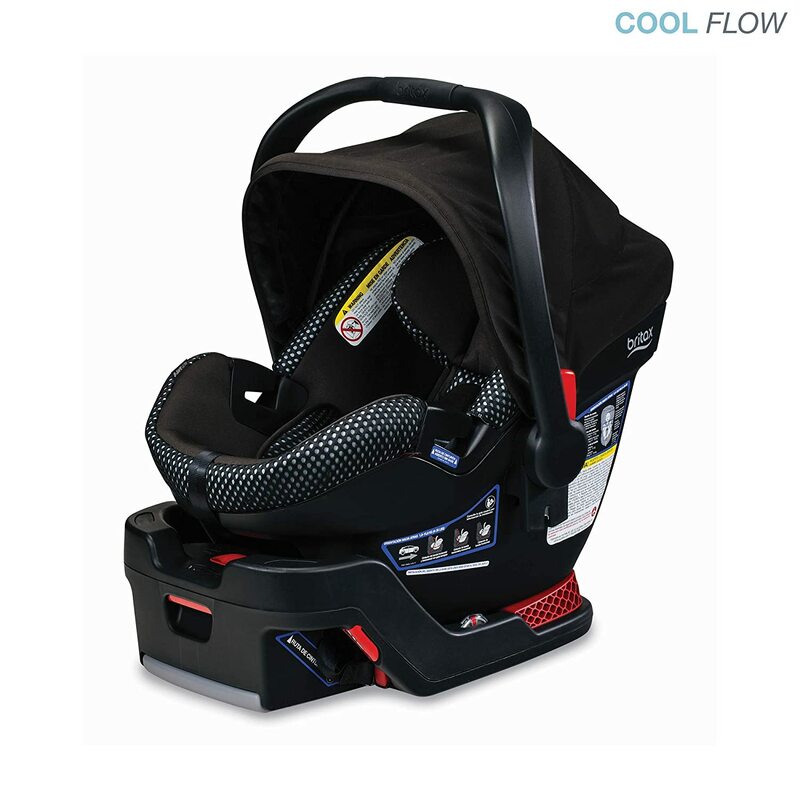 Also, the product comes with a one-year warranty provided by Britax, the manufacturer of the B-Safe infant car seat. As safe and feature-rich as the Britax B-Safe Infant Car Seat may be, there seem to be several downsides to it that should not be neglected. If you are thinking about investing in this infant car seat, then you should know that the cushions of the chair are not machine washable, which can be a disadvantage for some parents who do not like or who do not have the time to wash the cushions by hand. Also, the fact that you have to buy a separate Click and Go adapter to connect the infant car seat to a stroller can be regarded by many people as both an advantage and a downside, as it involves an additional expense. To conclude, the Britax B-Safe Infant Car Seat does offer a good value for the money, as it is extremely safe and it is low-priced. Besides this, it is great for children who had a low birth weight, as it can be used even by those who weigh no more than four pounds. Overall, this car seat is certainly a good investment!